The inauguration ceremony at Eurocopter Japan's brand new facility at Kobe Airport today marks a new milestone for Eurocopter in a country that has been one of its most successful markets in Asia. With the support of the Japanese government and local authorities, Eurocopter Japan will augment its support and services capacity to enhance helicopter safety, cost-efficiency as well as mission capabilities, and contribute to the country's aviation industry development. Hosted by Stephane Ginoux, President & CEO of Eurocopter Japan, today's ceremony was held in the presence of the Governor of Hyogo Prefecture, Toshizo Ido and Mayor of Kobe City, Tatsuo Yada; who were joined by Eurocopter's Senior Executive Vice President for Asia-Pacific, Norbert Ducrot and Executive Vice President for Support and Services, Derek Sharples. The opening of the brand new facility is significant on two fronts - it marks the 50-year relationship that Eurocopter has with Japan when the Alouette II helicopter first plied the skies of Japan and the industrial co-operations that have been fostered through the years; and secondly, an official merger of two business entities to form the new Eurocopter Japan, as the full-fledged Eurocopter subsidiary embarks on its next phase of growth. "Eurocopter is grateful for the great support that has been shown to us by the government and authorities, as well as our customers and partners in Japan," said Norbert Ducrot, Eurocopter's Senior Executive Vice President for Asia-Pacific. 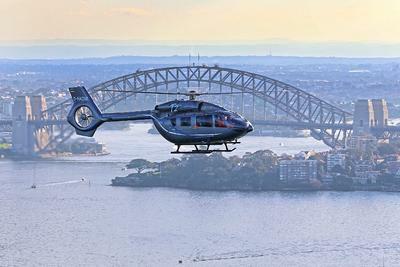 "We are present in many countries and are helping to develop the helicopter industries in Asia. Japan's vibrant helicopter market is certainly a shining example for others to follow." Starting from 1st April 2012, Eurocopter Japan T&E, originally handling maintenance, repair and overhaul (MRO) as well as engineering activities, was merged into Eurocopter Japan, which was set up in 2009 to handle sales, training, logistics and technical support. With the merger, a more streamlined business structure will enable Eurocopter Japan to further enhance its ability to provide the full spectrum of helicopter services, from sales to after-sales support and services. 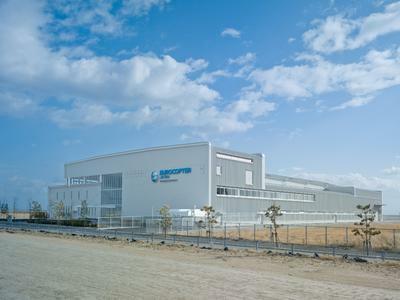 Operating out of a spanking new building and hangar sprawled over a 14,000m2 plot at Kobe Airport, Eurocopter Japan's key activities include MRO, design and customization; installation of helicopter equipment; as well as training of pilots and mechanics. The new Kobe hangar can accommodate up to 25 mid-sized rotary-wing aircraft as compared to 15 helicopters in its previous location in Osaka, thus significantly increasing its MRO capabilities. 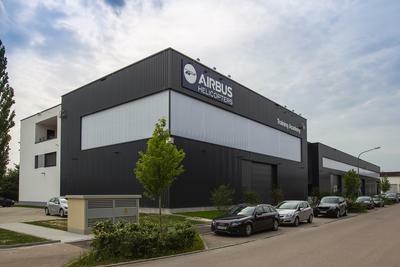 The modern, state-of-the-art hangar represents a new hangar concept that could become the reference in future hangar designs in Japan - environmental friendliness being at the core of its design concept. The mostly-white, contemporary architecture building comes complete with solar panel systems and large window panels allowing natural light. Eurocopter Japan will also focus on research and development (R&D), an area that the Japanese government is keen on investing and developing. "We have the honor of being the first foreign aeronautic company to be granted a government subsidy to boost our R&D activities," stated Stephane Ginoux, President & CEO of Eurocopter Japan. "With the great talent pool of local and international expertise in Japan, we will strive to develop cutting edge technologies that will better cater to the needs of customers, at the same time making helicopter operations safer, more cost-efficient and mission-capable." Ginoux added, "Through the global network of our parent company, EADS, it is our aim to bring Japanese high-technology to the world and contribute to the sustainable growth of the Japanese aeronautic industry." The Kobe premises will also house new training facilities, including the very first helicopter full-flight simulator in Japan and other training devices. Dedicated to the EC135 model, the full-flight simulator is slated to begin operations in 2014. A light twin-engine helicopter popularly used in Japan for pilot training, emergency medical services (known as the "doctor-heli" program in Japan), electronic news gathering and corporate transport, the EC135 full-flight simulator will be able to cater not only to Japan's training needs, but also to EC135 operators in the wider Asia Pacific region. Besides the training equipment and tools, a Eurocopter-certified Japanese trainer will also be on hand to conduct world standard training in the native language - an extremely important aspect that is much appreciated by Japanese pilots. Today, Eurocopter is the leader in Japan's civil and parapublic sector, occupying 54% market share with 320 aircraft flying. The company has been very much a part of Japan, accompanying it in its times of growth and challenge, including humanitarian efforts during the 2011 earthquake and tsunami when its helicopters saved more than 400 lives and assisted in transportation and aid missions. Its headquarters in Japan will remain in Tokyo, staffed with around 70 employees; while about 200 employees will be located at the new Kobe facility. Eurocopter Japan Co.,Ltd was established in April 2009 as a subsidiary of Eurocopter (90%) and Itochu Corporation (10%). In July 2009, Eurocopter Japan established Eurocopter Japan T&E Co.,Ltd, a joint venture with ANAM. The establishment of these two companies made Eurocopter the first foreign affiliated company in the aviation field to become a full fledged industrial player in Japan. In April 2012, these two entities merged into one company to provide higher quality products and services. With 54% market share in the civil and parapublic sector, a fleet of 320 helicopters and 50 years of presence in Japan, Eurocopter Japan will continue to contribute to Japanese customers and the society by improving helicopter safety, cost efficiency and mission capabilities through excellent products and consummate services.